In response to the 2008 financial crisis, the Fed and other central banks deployed zero or near-zero interest rates, quantitative easing, and assorted other interventions. 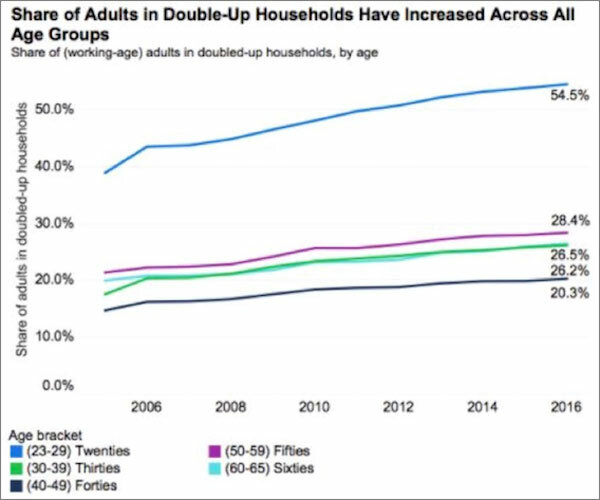 The chart below shows that the share of unmarried adults in double-up households has increased in all age brackets, and especially among Millennials. Furthermore, as I wrote in Thoughts from the Frontline last year, nearly 5 million Americans are in default on student loans. Is it any wonder people are doubling up on their housing? In other words, my #1 risk factor for the US economy in 2018 is Federal Reserve overreach. There is a significant chance that their anticipated inflation will not appear and the Fed will tighten too much too soon. Look at the graph below, which shows the amount of quantitative easing that was pumped into the economy in the last few years. With 2½ trillion dollars of monetary stimulus from the world’s central banks, we still need tax cuts and boosted infrastructure spending to expand the US and global economy? Seriously? Do I think the economy can actually stand three rate hikes next year? Without risking a recession? I think it’s likely that it can. We don’t know—and by we I mean you and I and all of our central bankers. I don’t much care what their models say, because their models have been continually, disastrously wrong. 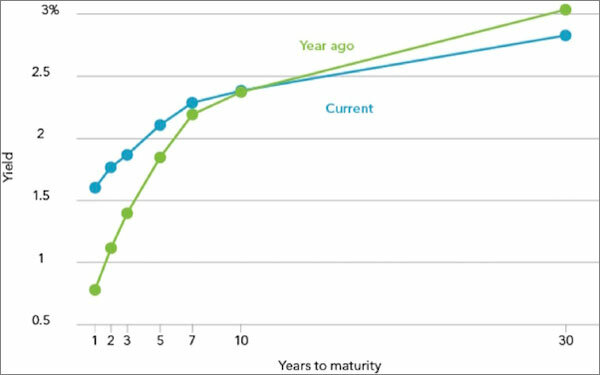 Here is the US Treasuries yield curve as of December 5, from a graph on Seeking Alpha by Richard Turnill. The curve is slightly flatter today than it was then.